The brilliant creator of NPR's Planet Money podcast and award-winning New Yorker staff writer explains our current economy: laying out its internal logic and revealing the transformative hope it offers for millions of people to thrive as they never have before. Contrary to what you may have heard, the middle class is not dying and robots are not stealing our jobs. In fact, writes Adam Davidson--one of our leading public voices on economic issues-- the twenty-first-century economic paradigm offers new ways of making money, fresh paths toward professional fulfillment, and unprecedented opportunities for curious, ambitious individuals to combine the things they love with their careers. Drawing on the stories of average people doing exactly this--an accountant overturning his industry, a sweatshop owner's daughter fighting for better working conditions, an Amish craftsman meeting the technological needs of Amish farmers--as well as the latest academic research, Davidson shows us how the twentieth-century economy of scale has given way in this century to an economy of passion. He makes clear, too, that though the adjustment has brought measures of dislocation, confusion, and even panic, these are most often the result of a lack of understanding. 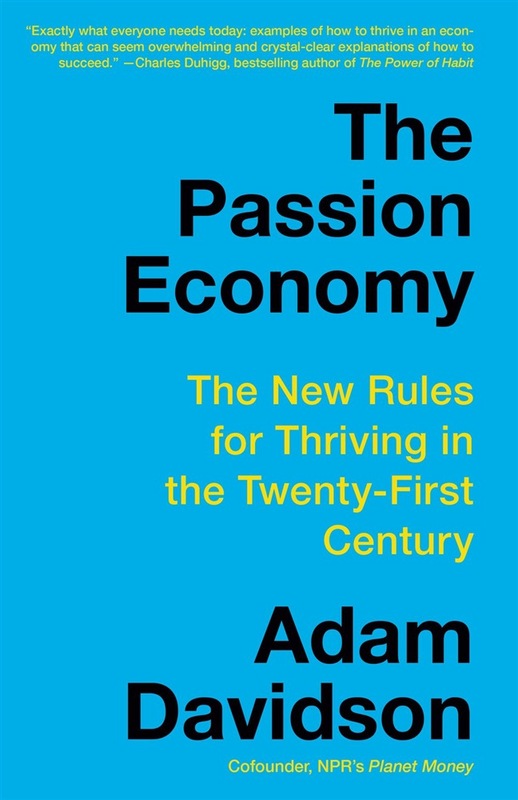 In The Passion Economy, he delineates the ground rules of the new economy, and armed with these, we begin to see how we can succeed in it according to its own terms--intimacy, insight, attention, automation, and, of course, passion. An indispensable road map and a refreshingly optimistic take on our economic future. Acquista The Passion Economy in Epub: dopo aver letto l’ebook The Passion Economy di Adam Davidson ti invitiamo a lasciarci una Recensione qui sotto: sarà utile agli utenti che non abbiano ancora letto questo libro e che vogliano avere delle opinioni altrui. L’opinione su di un libro è molto soggettiva e per questo leggere eventuali recensioni negative non ci dovrà frenare dall’acquisto, anzi dovrà spingerci ad acquistare il libro in fretta per poter dire la nostra ed eventualmente smentire quanto commentato da altri, contribuendo ad arricchire più possibile i commenti e dare sempre più spunti di confronto al pubblico online.